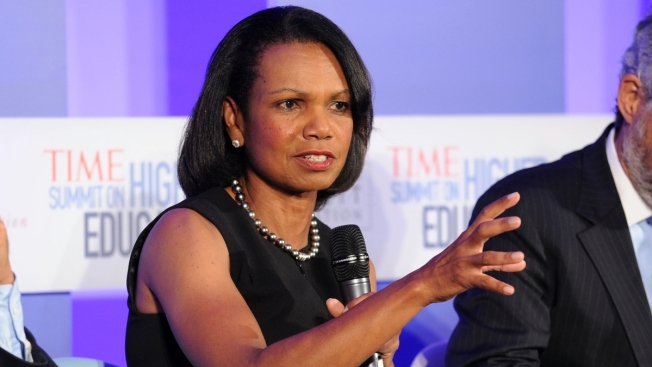 Former Secretary of State Condoleezza Rice, former Nebraska coach Tom Osborne and Hall of Fame quarterback Archie Manning are among the 13 people who will be part of the College Football Playoff selection committee in 2014. The selection committee was officially unveiled Wednesday, though the names of the members were reported last week by The Associated Press and other media outlets. Earlier this week, Arkansas Athletic Director Jeff Long was announced as the chairman of the first committee for the new playoff system that starts next year. Long and BCS Executive Director Bill Hancock announced the members at a news conference. The committee also includes five current athletic directors, including Long, former Notre Dame, Stanford and Washington coach Tyrone Willingham, and former Big East Commissioner Mike Tranghese.